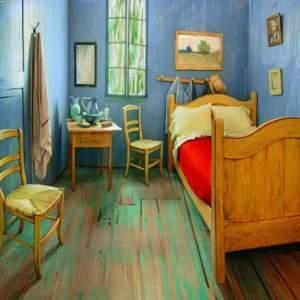 A room listed on Airbnb has been painted and decorated to resemble a Vincent Van Gogh painting. The Art Institute of Chicago used several local artists to recreate the Post-Impressionist painting of Van Gogh's bedroom, bringing a taste of southern France to River North in Illinois, according to Sky News. “I'm charging US$10 for no other reason than that I need to buy paint,” the Airbnb listing stated. Renters of the room will receive tickets to the Art Institute of Chicago’s Van Gogh exhibition, which is running until May 10.